I write stuff. Not very frequently, but I'm working on that. The holiday season is right around the corner, and I’ve been busy whipping up a set of greeting cards to celebrate! I love alliteration, which is why I used “Happy Holidays” as my jumping off point. From there I thought of other Christmas phrases using the letter h. Once I had my words, I chose colors that complimented both the season and each individual phrase. The snowflakes and frosty texture help tie the set together. These cards were designed by me, and printed by MOO. Sets are available in packs of 3 or 12 through my Etsy shop. 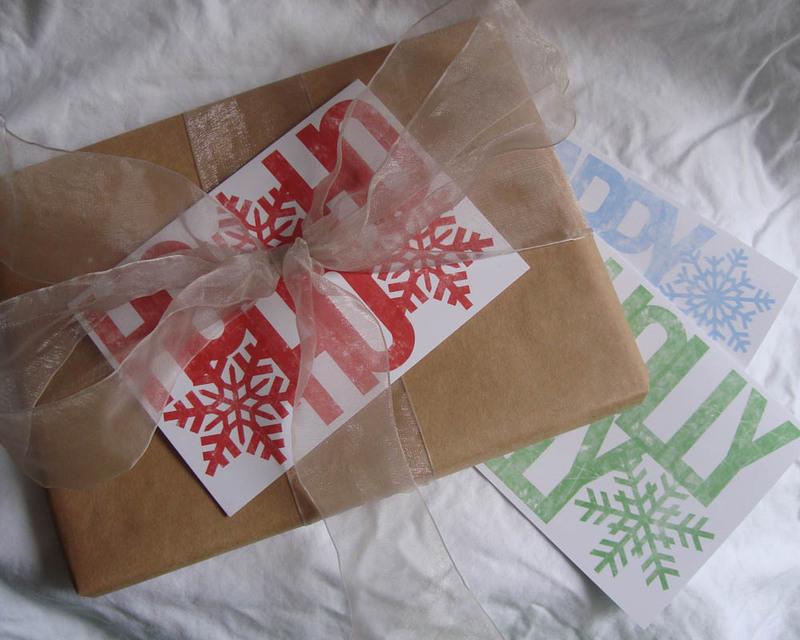 Envelopes are included, as well as matching sealing stickers for the perfect final touch!